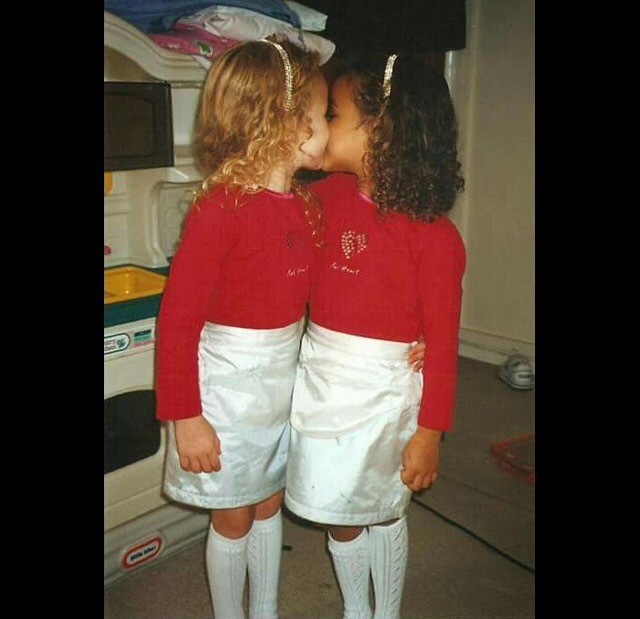 This entry was posted in biracial, equality, interracial relationships, post racial news, race and tagged biracial, black and white twins, genetics, lucy aylmer, maria aylmer, mixed race, mulatto, mulatto diaries, multiracial, quadroon, racism, twins by Tiffany. Bookmark the permalink. I find these articles madding when posted on face book and elsewhere. It shows how superficial people are when they don’t realize how much these twins look alike. They just go for the obvious, and most of it is conditioning and not really seeing. I enjoyed this article very much. Great food for thought. My husband and I are white with adopted black twins. There are the usual questions or sometimes puzzled looks, and the occasionally ‘hater’, but we haven’t encountered nearly as much prejudice and opposition as I had feared when the boys first came to us, and we live in a town of 3,000 people. There are so many families that are made up of adopted children from different countries with the variety of facial features, hair color and texture and skin tones anymore that I believe this is contributing toward a more open attitude from the public at large. Am I concerned for my children’s future and their personal identities? Absolutely! I hope that by being open and honest about all the situations and difficulties that they might encounter, we are helping to prepare them for adulthood. Being Christians, we have taught them that a person’s character is the only thing that should be an issue, and that our greatest prayer for them is that they will love the Lord with their whole hearts and grow to be godly men. I believe people’s hearts are just now starting to open up to a mentality where all God’s children can coexist in harmony…..where interracial marriage is accepted, where biracial and black people aren’t considered second-class citizens. That said, I am not minimizing the prejudice that I know still exists in our world today. It infuriates me. And I hope that our little family is an ambassador for opening people’s closed minds!!! The ignorance of some people is really amazing! Fraternal twins are just like any other siblings. These girls are no different than 1 sister being born blonde and blue eyed and another born brown hair brown eyed from the same parents. I see this in Caucasion families more times than I can count. 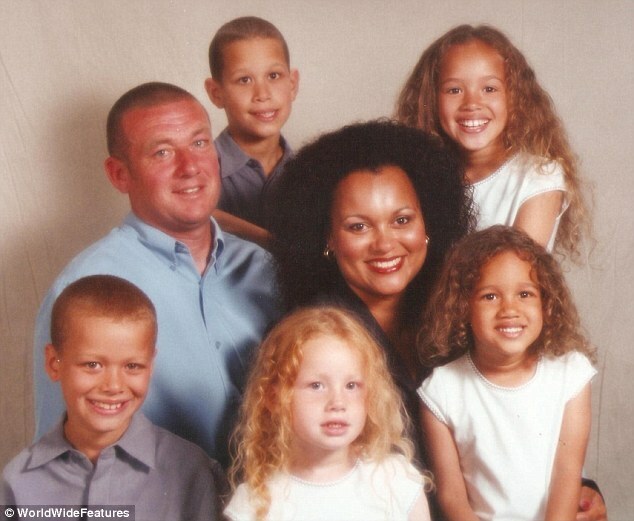 But you are correct these kids are “mixed race” they just have different phenotypes. I have seen twins like this before over the years and usually with a White FATHER and a black OR mixed race MOM. I saw a clip Maria’s and Lucy interview and for some reason I feel many Brits are being deliberately obtuse regarding mixed race identity, politics, and the way they can look. Clearly both girls LOOK mixed race. Check out the documentary “Twincredibles”. The story of Daniel Kelly reminds me so much of my own experiences growing up. I think the issue is that people are often VERY uncomfortable when they meet a mixed person who can “pass” for white. So many people are ignorant about race and genetics/biology that when they see somebody who isn’t what they appear to be, they react with fear and hate. I remember being 4 years old and being told that I was “black” after I innocently called myself white one day. It confused me to hear this, because I could clearly see that I had white skin. I didn’t see a black girl looking back at me in the mirror. I also remember being forced to check “black” on a census form at school when I was about 9. My teacher was a white woman and she demanded that I check this particular box. It didn’t make sense to me back then, and it still doesn’t. I wanted to be able to check both black AND white, because that was the truth. Calling myself just “black” or just “white” is like lying to make others more comfortable with my existence. The kids who bullied and attacked Daniel did so because their identity as “white” was threatened, since whiteness is supposed to be “pure”. White people who harbor racist views feel disturbed by mixed people who don’t look all that different from themselves, because it challenges their ideas of racial “purity”. They might not like visibly Black people but it seems easier for them to deal with people who look more black, than it is to accept the idea of a so-called “black” person who looks white. Hence the fact that Daniel suffered more racism than his brother James, because James appears more obviously black/biracial. 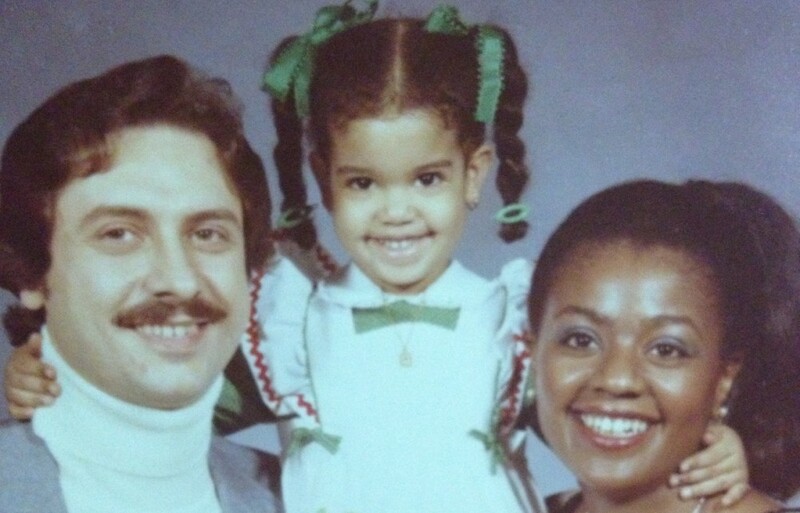 As a mixed woman who has involuntarily “passed” for white at times, I’ve been in situations where people treated me differently once they suspected or found out that I wasn’t racially “pure” (sarcasm). I guess they think that we choose our appearance and we are intentionally trying to deceive others in terms of race. It bothers certain people because on some level, it shatters their stereotypes and makes them deeply uncomfortable, so they lash out at the person who triggers this feeling. When people say “black & white twins” they simply mean they appear to be different races. They don’t actually mean that they are of two completely separate racial backgrounds, obviously. Yes ,we are all of the human race, but we are also of separate “sub-races” ,if you want to be that pretentiously specific. The girls are obviously both the same percentage of both races, we are not idiots as you seem to believe but the fact of the matter is, they ARE two different *colors* (since you seem to have an issue with the word “race”.